Our special SUNDAY Game Day is Sunday, March 25, 2018 at The Geekery, located in Shawnee (map). Come out and join us as we play some games! Slots run from 11am-2:30pm, 3pm-6:30pm. Our monthly Game Day is Saturday, March 10, 2018 at 31st Century Games and Hobbies, located in Olathe (map). Come out and join us as we play some games! Don't forget our monthly online business meeting Tuesday, March 13 at 7pm. Don't forget our monthly online business meeting Tuesday, February 13 at 7pm. 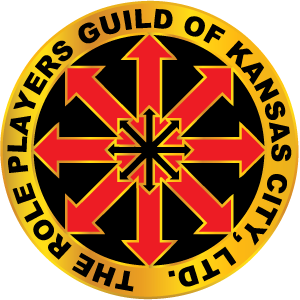 Note: Guild business meetings are now held online the second Tuesday of each month. Watch for meeting announcements! 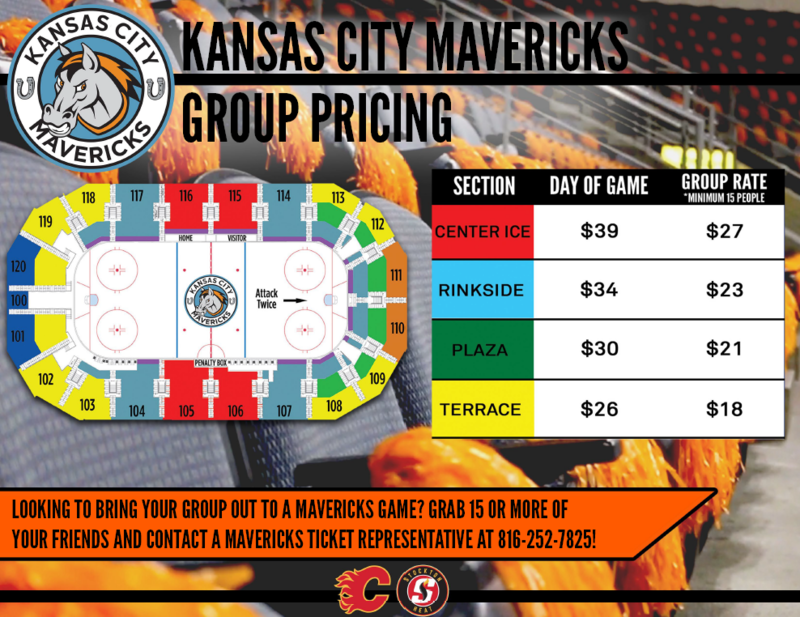 We are trying to get a group of 15 or more to get groups rates to a Mavericks hockey game this January 20 at7pm! It's Harry Potter night at the Mavericks, and fans are encouraged to dress up as their favorite houses. There's a featured Quidditch match during intermission, which should be exciting! 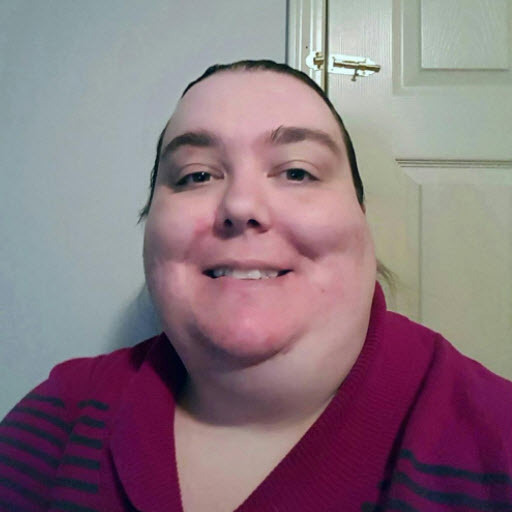 Gaming Volunteer Deadline December 30! This made-for-tv film starring a young Tom Hanks was part of the backlash period against D&D when people believed that it was satanic. Cinemasochists’ What Happened series includes a presentation on the making of the chosen film, followed by a live riff performance in the tradition of MST3K. 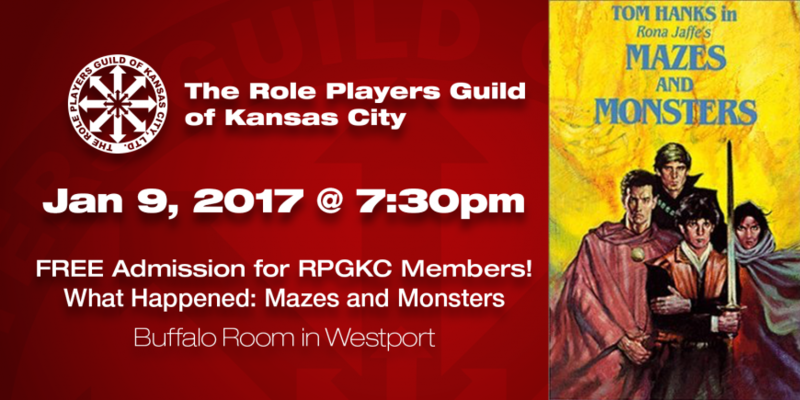 $5 cover is waived for paid RPGKC members. Dinner and drinks served to your table from the Westport Flea Market menu. Don't forget our monthly online business meeting Tuesday, January 2 at 7pm. We will hold elections at this meeting, so don't don't miss out!